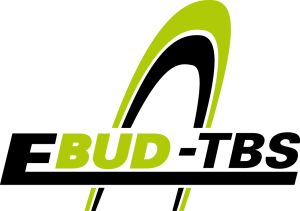 Subsidiary companies – Ebud Przemysłówka Sp. z o.o. EBUD-TBS Sp. z o.o. 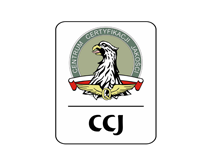 was registered in the District Court in Bydgoszcz in February 2000. NCR: 0000106707 with the initial capital 667.000PLN. 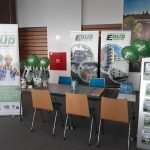 EBUD DOM is the latest brand of EBUD GROUP with its presence on the market of Bydgoszcz for 25 years. The brand is a culmination of multi-annual experience of house building of P.W “EBUD” – Przemysłówka Sp. z o.o. and EBUD-TBS Sp. z o.o. 2009-2012 – mini-district consisting of three buildings of high standard S-1, S-2, and S-3 at 26 Stawowa street (GRAND PRIX award for the buildings in „Medal building of Pomorze and Kujawy competition in 2010 and 2012 and I place in „Golden Ribbon” competition). 2015-2016 – multi-storey building at 20 Stawowa street, Nowe Błonie.